Hello lovelies! 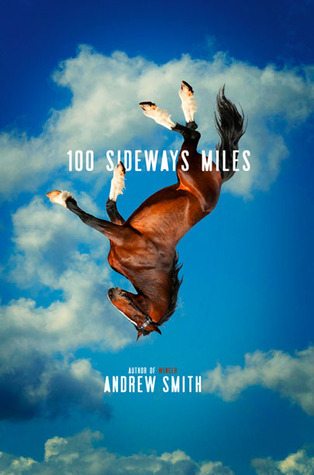 Welcome to Bookish Digest - something we'll be putting together at the end of every month to highlight our recent favorite reads and recap any posts you may have missed. We also include an About My Life and Things I'm Looking Forward To section in an effort for you to get to know us better. Don't forget to tell us in the comments some things that happened to you over the past month so we can get to know you guys better too! Also, you may have noticed that this month we held Mermaids and Myths month on Bookish. We read amazing books, interviewed authors, and had some awesome giveaways! If you missed anything you can click on the links below or head to the Mermaids and Myths kick off post! Courtney Alameda's 30TH BIRTHDAY HORRORPALOOZA! I watched The Fault in Our Stars and bawled. Side note: This was the hardest decision! I read so many awesome books this month. Such awesomeness cannot be contained! My birthday! I had an awesome birthday week! I went to an Indian restaurant, had a cookout at my dad's, read all day on my birthday and saw Guardians of the Galaxy - which I highly recommend. I got some awesome gifts off our wedding registry, some books, and a few other little things. The month of books. Aside from obtaining quite a few books this month, I read a lot too. I think I've read more so in this month than any other. It did wonders for my TBR pile, review books, and the mini goals I've set for myself. Not only that, I read so many amazing books this month. My bridal shower and dress fitting #2. So excited for these things. I know bridal showers are usually boring, but we're playing a game at mine that involve nerf guns. Oh yeah. I have friends coming in from Arizona. And they're bringing their two little girls with them - I cannot wait to see their faces! *Note: This was a very hard decision. If you look below I had a lot of 5* reviews. I ended up picking the 5* that I had most been anticipating. I finished my third and final academic semester- In September I go into a block placement but have no more studying for exams and assignments!! I can't even explain how exciting this is to me. Excited that Mermaid & Myths Month was on Bookish! I am so happy that we had this event and that it was such a success. I adore this event and all of the books in it. Thank you to everyone that stopped by! I don't know... Life has been so crazy I haven't had much time to look forward. I will let you know next month if there was any awesome things that I forgot! 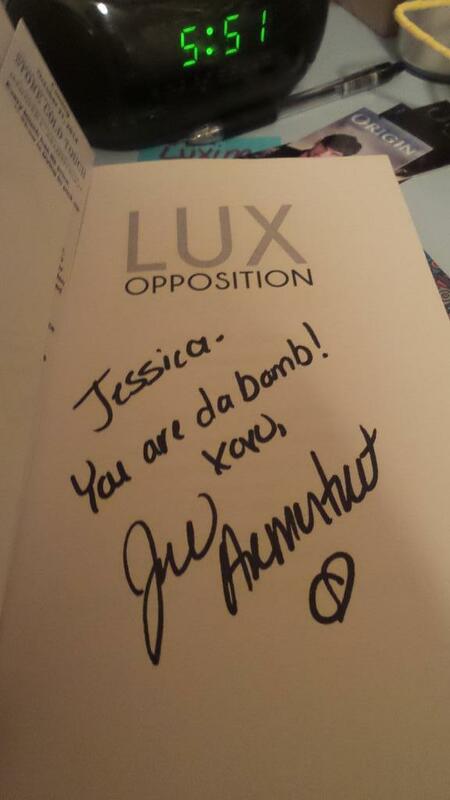 I saw Jennifer L. Armentrout! Jen is my absolute favorite author, and it's always great to see her. She is so freaking nice. I went to her signing at Book People in Austin (which is amazing, because a bunch of us have been trying to get Jen to Austin for a while), and it was a good time. She came over and said hi to me, which was awesome because I'm always astounded that she remembers me. And then I got even more happy pants when I saw how she signed my book! My brother and his family are here for a bit. This is kind of a big deal, because I haven't seen my brother since my freshman year of high school. He's had two kids since then (well, not HIM, but his significant other did) so it's great meeting them and all their cuteness. I started school. This is kind of good and bad. Good because all that stuff is finally sorted and I'm going. My dad can stop spazzing about it. But it's bad of course because...SCHOOL. My schedule is actually not too bad, though. So at least there's that. September is actually a simple month for me. I can't think of anything too crazy exciting. But I know I'm looking forward to some books I'm finally going to get to on my TBR. Like OPPOSITION, which I still haven't finished because I'm a wimp. And ROGUE, which I've been waiting until I have more tiiiime. That's what I need--more tiiiime. Oh, and THE WRITE STUFF by Tiffany King! I am so excited to gobble that one up. 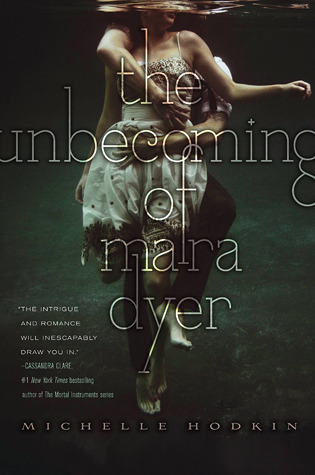 And some awesome books are releasing in September! Like STAY WITH ME, by JLA. I'm looking forward to another NA contemp by her. They always make me feel all happy inside. Oh, and I hope to see IF I STAY at some point. I looooved that book, so I'm looking forward to seeing how the movie is. I remember reading that book way back in the day, like the year it came out. I was in middle school--8th grade, to be exact. I borrowed it from my friend and that book was such an experience. SO MANY FEELINGS. Awww, Adam Wilde. Grace just moved to San Francisco and is excited to start over at a new school. The change is full of fresh possibilities, but it’s also a tiny bit scary. It gets scarier when a minotaur walks in the door. And even more shocking when a girl who looks just like her shows up to fight the monster. Gretchen is tired of monsters pulling her out into the wee hours, especially on a school night, but what can she do? Sending the minotaur back to his bleak home is just another notch on her combat belt. She never expected to run into this girl who could be her double, though. Greer has her life pretty well put together, thank you very much. But that all tilts sideways when two girls who look eerily like her appear on her doorstep and claim they're triplets, supernatural descendants of some hideous creature from Greek myth, destined to spend their lives hunting monsters. 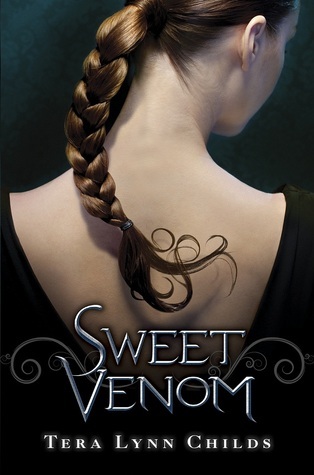 These three teenage descendants of Medusa, the once-beautiful gorgon maligned by myth, must reunite and embrace their fates in this unique paranormal world where monsters lurk in plain sight. I got a great part time job in accounting, plus a surprise raise after 2 weeks with the company. My best friend from New York will be visiting. The “talk” was bad enough, but how many teens get told that they’re a goddess? When her mom tells her, Persephone is sure her mother has lost her mind. It isn’t until Boreas, the god of winter, tries to abduct her that she realizes her mother was telling the truth. Hades rescues her, and in order to safely bring Persephone to the Underworld he marks her as his bride. But Boreas will stop at nothing to get Persephone. Despite her growing feelings for Hades, Persephone wants to return to the living realm. 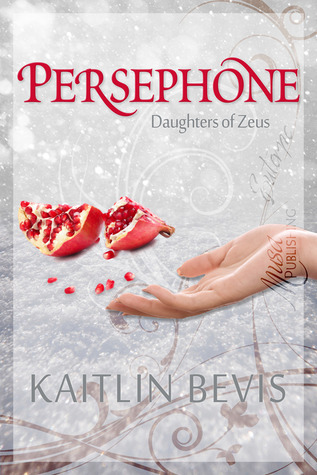 Persephone must find a way to defeat Boreas and reclaim her life. My little brother turned 21! Unfortunately that event took away a lot of my reading time, but I listened to some audiobooks. My best friend's sister had her baby. It was a long delivery that was scary at times, but both her sister and her beautiful niece are happy and healthy! I was offered a new position at work and I am awaiting the promotion that should happen sometime next month! SUPER EXCITED! Getting out of that damned warehouse so I can get a little bit of my life and my READING back! Fall time!!! I just LOVE the Autumn season! !